Laurence was the grandson of Joseph Rowntree, Quaker chocolate manufacturer and social reformer of York. His father, John Wilhelm Rowntree was Joseph’s eldest son and his mother was Constance Margaret Naish. 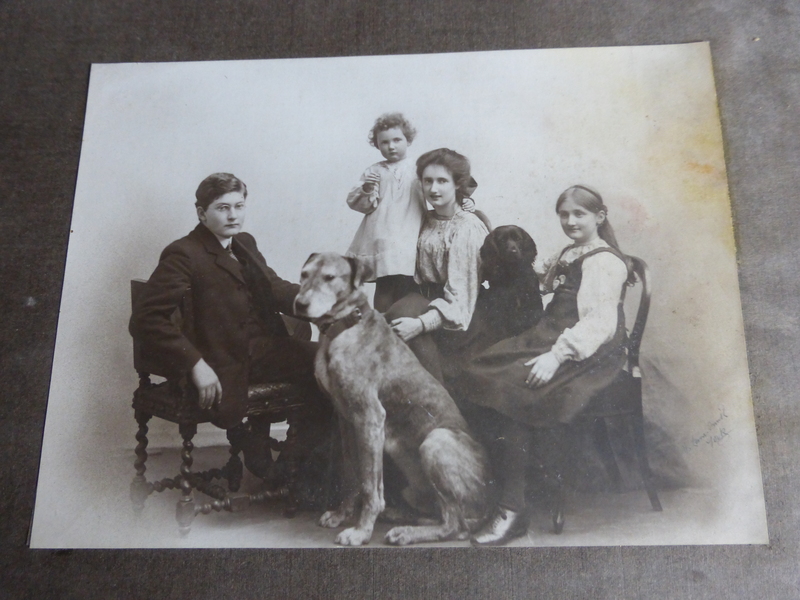 In 1899 John’s deteriorating health resulted in him leaving the factory in York and moving to Silverdale, now 18 & 18A Station Road, Scalby with his wife, daughter Margaret, son Laurence and newborn daughter Sarah Antoinette (Toni). 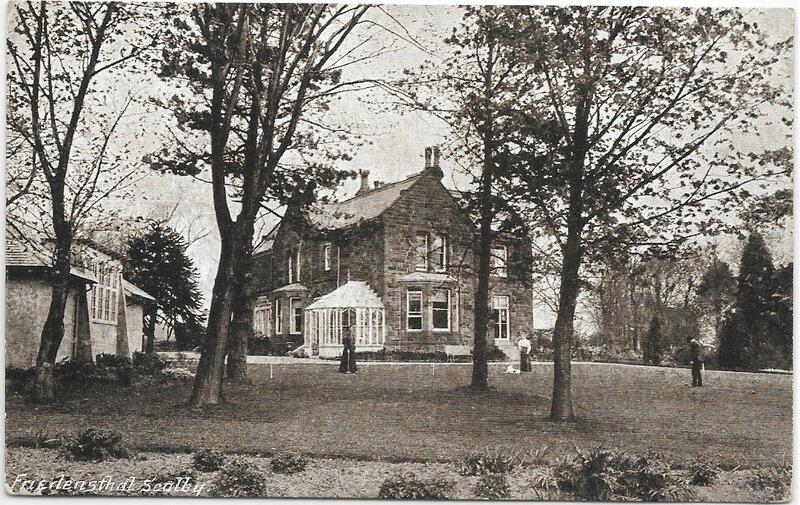 By 1904 John and Connie had decided to make Scarborough their permanent home. 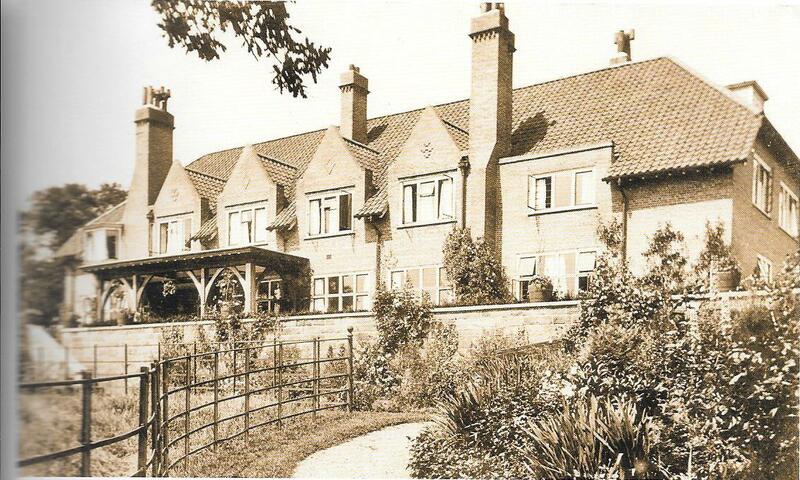 They provided Friedensthal, a large house with spacious grounds on Hay Lane, Scalby, as a Quaker Guest House/holiday home and built Low Hall next door as the new family home but John Wilhelm died in 1905 on his way to receive pioneering eye surgery in Chicago. Friedensthal later became Uplands School but all that now remains of this is a gate post to the right of Wordsworth Close, hidden by trees. Low Hall became an holiday home of the National Union of Miners. Like many of his family, Laurence attended Bootham School in York from 1907-12, the school originally built for the sons of Friends (Quakers). 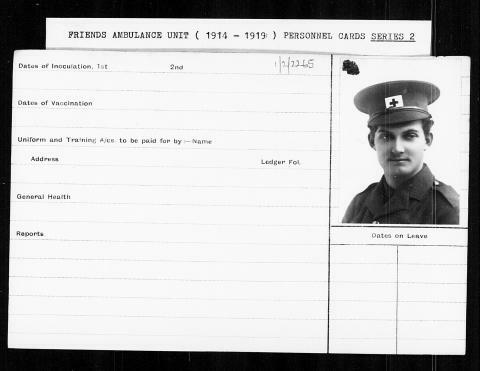 He became a medical student at King’s College, Cambridge in October 1913 but left in 1914 at the outbreak of the war to join the Friends Ambulance Unit. He trained at Jordans, the Quaker Centre in Buckinghamshire, for 6 weeks and on 31 October set off for France led by Philip Noel Baker, where they had a grim introduction to the Unit’s work, helping hundreds of wounded soldiers who had been lying in straw in the evacuation sheds at Dunkirk railway station for 3 days, the living, dead and dying side by side. Laurie’s sister Jean later wrote ‘this was the natural form of service for someone of his background, and I don’t know that he ever thought out the pacifist issue very deeply, and probably didn’t need to while the work he was doing was so hard and dangerous’. 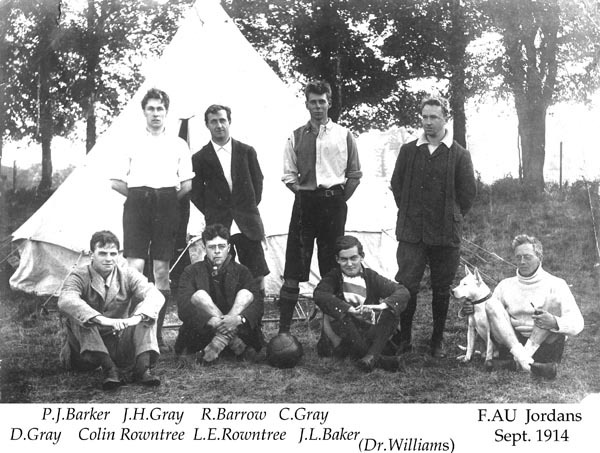 FAU Camp, Jordans, Sept 1914. Laurie took his grandfather’s Daimler abroad with him, to his grandmother’s disapproval. While in France and Belgium he wrote a diary, entitled ‘A Nightmare’. The original is in the library at Friends’ House in London, and a copy in the Borthwick Institute, York University. Bridget Morris, of the Rowntree Society, has described it as, moving for its youthful antics, its ground plans and the small drawings of the Daimler stuck in mud tracks. Laurie’s main role was transporting supplies from Dunkirk to Poperinghe and Ypres and he came under fire quite often. After 10 months he felt he was no longer contributing to the war effort and, Jean wrote, When the Unit was reconstructed and he had gone to work in an English hospital (Haxby Road, York), he had to ask himself whether his beliefs were strong enough to justify him in doing something comparatively easy. It was, I know, a very difficult decision which needed a great deal of courage, but it ended in him enlisting. At the end of his diary Laurie writes, At times the desire to get out again is very strong. The excitement of it, even the fear is enticing; the glorious feeling when you overcome difficulties you thought were insuperable, and the jolly companionship of everyone which you get in the face of common danger, and never so truly anywhere else. Laurence Rowntree enlisted in the Motor Machine Gun Training Corps at the offices of the ‘Motor Cycle’ magazine in Coventry on 16 May 1916. His records reveal he was 21 years old, 5ft 8¾ in tall, with a 39½ inch chest. He was sent to Bisley Camp at Brookwood near Woking for training where he joined C company of the newly-formed Heavy Section, MGC, later known as the Tank Corps. In due course they arrived at a guarded area near Thetford where they saw tanks for the first time, a large one and a small one which they nicknamed Big Willie and Little Willie. Laurence was in No. 1 Section of C Company, led by Captain AM Inglis. He arrived in France on 16 August and every precaution was taken to keep the Mark 1 tanks from view. They arrived on The Somme on 8 September, after training with 56th Division, and No. 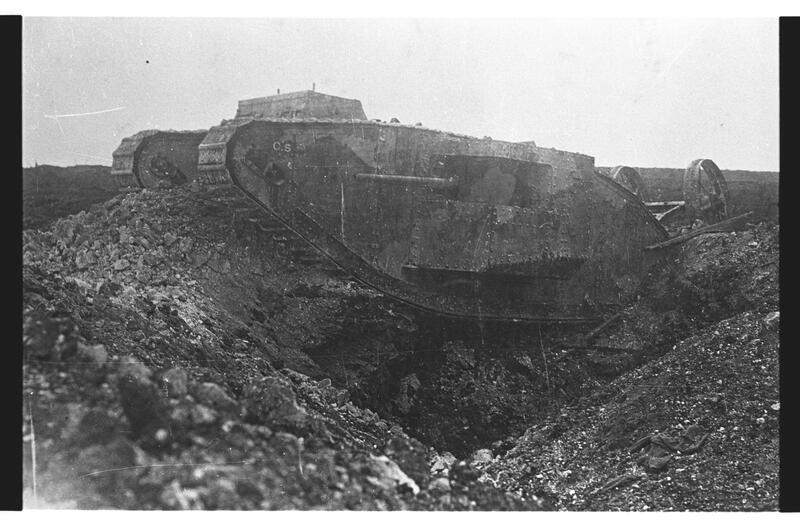 1 Section took part in the first ever battle in which tanks took part, at Flers-Courcelette on 15 September. There were six tanks, all named after French drinks with the initial letter ‘C’. Laurence was in C5, ‘Crème de Menthe’, the leader of 3 tanks in support of 2 Canadian Division’s attack on the Sugar Factory at Courcelette, on the Roman road between Albert and Bapaume. The tank lost its steering wheels en route to the start point but carried on, using her 6lb guns to destroy machine gun posts within the factory, and was confronted by 50 surrendering Germans whose nerves were then torn to shreds by the appearance of this mechanical monster. She then returned to her start point (now the site of the Tank Corps memorial at Pozieres Windmill), deploying a signal cable most of the way. Conditions inside the Mark 1 tank were truly appalling, owing to intense heat, noise and exhaust from the engine, violent movement as the tank crossed the ground and molten metal splash as bullets struck the plating. Men would often be violently sick or badly incapacitated by the conditions and were often in no fit state to continue after quite short journeys. Laurence was injured at the start of this fight, receiving wounds to his buttocks. Although his injuries are not mentioned in Captain Inglis’ official report of the action, it seems that Laurence got out of Creme de Menthe at the starting point, where the current tank memorial stands on the Albert-Bapaume road, to see what was keeping Captain Inglis. A shell exploded nearby, causing his injuries, and the tank went off without him. He was sent to 49 Casualty Clearing station, went on to the 1st Australian General Hospital and Rouen and was evacuated to the UK on the hospital ship, Grantually Castle on 26 September. We are indebted to Stephen Pope, author of ‘The First Tank Crews: the Lives of the Tankmen who Fought at the Battle of Flers-Courcelette, 15 September 1916’ pub Helion & Company 2016 and Raoul Guise (http://www.guise.me.uk/articles/familyatwar/lawrie.htm) for their help in ascertaining how Laurence came by his injuries. After treatment in Edinburgh Laurence spent 10 days’ furlough at home in Scalby from 3 November, before leaving for Bovington Camp. On 5 January 1917 he was sent to the Royal Artillery Officer Cadet School at Topsham Barracks, Exeter and was granted a commission in April. He joined 26th Army Brigade RFA on 15 July and became a 2/Lt in ‘A’ Battery. On 22 October 1917 26 Brigade were transferred to No. 2 group of the 4th Canadian Division, bombarding Passchendaele Ridge in preparation for the Canadian attack. The batteries were heavily shelled, with many casualties to men and horses. 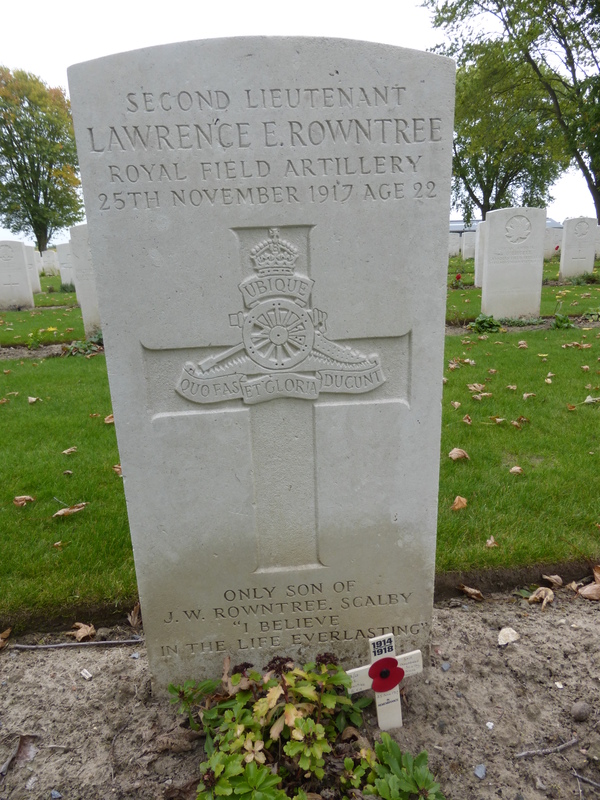 Laurence, who had been on leave from 23 October to 3 November, was killed on 25 November in an area approximately 1,000 metres west of where the huge Tyne Cot Cemetery now stands, within an area between Otto Farm – Beecham Farm and Springfield, south of Abraham Heights. He was unfortunate to have joined the RFA at this period of the war since all the British artillery during Third Battle of Ypres (Passchendaele) was under constant observed German artillery fire from the Gheluveldt plateau and their losses were much greater than at any other time during the war. Laurence left his medals to his fiancěe, Dorothy Cross, of The Mount, York. The couple would have met in Scarborough where her father Richard, who had been born in Scalby, was a solicitor and prominent Quaker, friend of Joshua and Arnold Stephenson Rowntree and Chairman of the Board of Directors of The Nation, a weekly newspaper founded by a group of Liberals including Arnold Stephenson Rowntree, which continued until its amalgamation with The New Statesman in 1931. Constance Rowntree lived in Low Hall and the Manor House, Langdale End until her death in 1928. She is buried at St Laurence’s Church, Scalby, next to her infant daughter, Violet (1903-06). 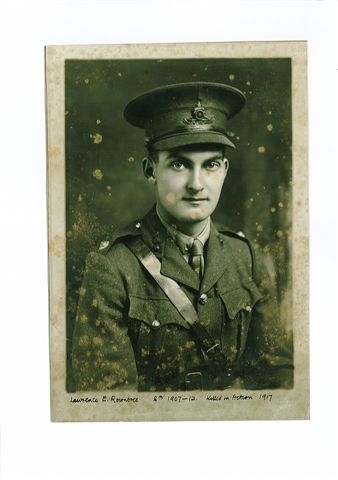 Hi, you might be interested to know that Lawrence’s letters have been gifted to the Borthwick Institute by his family, the archive was featured in The Times on Friday and there is also a 2 part blog about it here: http://borthwickinstitute.blogspot.com/2018/12/lawrence-rowntree-life-in-letters-part_20.html The archive is open to anyone and a catalogue will be available soon. How Should We Remember a War?